Today I got the news I had been waiting for-it seems like longer than it really has been because I began this process last year as well, but then decided at the last minute not to follow through at that time. This year I really thought all my ducks were in a row and the stars were perfectly lined up blah blah blah. I guess when you make those big life changes, you always second guess your decision. I got the answer I know I wanted, and I am excited that I have finally encouraged myself to move on....truly. 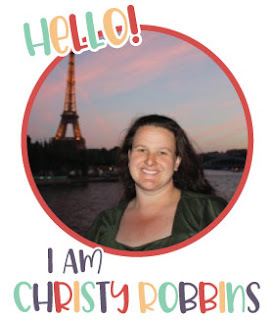 I get to be a Campus Reading Specialist next year, but more than that, I get to stay at the school where I'm currently teaching! I basically got everything I wanted, which is really awesome. I began the process of cleaning stuff out in my classroom, boy do I have a LOT to go despite everything I've already done, but today as I was sorting through things (I'll still be using that line in June, trust me-you know my pack-rat ways) I was feeling a little sad to be leaving 6th grade, full time students, my teaching partner blah, blah, blah.....it was before I got the 'news,' but I knew there would be changes next year regardless. I got this email (a daily devotional I'm attaching to the bottom of this) right before I got the email regarding my job news, and I thought-I'm so glad that God gives some of the more 'needy' of us some really clear signs when He knows we are going to need them! I've highlighted the part in red that really just hit the nail on the head! There are five more weeks of school, and a whole summer, a lot could change, but right now I feel really good about everything. So I can finally say: I got the job! 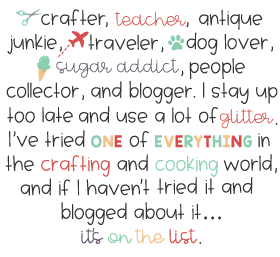 The first person to read this, is the first friend to know the news because as of right now I haven't told anyone, TAKS test has kept us busy all week! I hope the spring is bringing some great new beginnigs to your life right now! "All things are lawful for me," but not all things are helpful. "All things are lawful for me," but I will not be enslaved by anything. I've noticed something every time we have moved to a new home. We wind up getting rid of things we didn't need and were just cluttering up the house. Some people are keepers and some are throwers-and they usually marry one another! The keepers hang on to things because of the comfort of the known and the emotional attachment to these items. The throwers toss stuff away because they know it isn't needed and will slow them down. I want to propose to you today that we all need to be spiritual throwers. When God wants us to move on to another place in our spiritual lives, we should throw out all of the clutter we have accumulated-old ideas, attitudes, and habits from the past that just weigh us down. Let's get rid of anything that isn't necessary to keep living and moving forward for Christ. To not be enslaved to anything. When a tall building is built, there's usually scaffolding that goes all the way to the top. But when the building is finished, the scaffolding isn't needed. It would be silly and unnecessary to keep scaffolding up around a finished building, but that's what a lot of believers are doing in their spiritual lives. Don't be attached to or dependent upon unnecessary things. When God wants you to move on, drop everything that holds you back and go forward in faith and obedience! ! I love Easter, I especially love the new Easter clothes all the little kiddos wear to church on Easter Sunday. I remember I got a matching dress, shoes and a purse each year when I was little, and I would always fill my purse with candy to munch on during the service....Easter means a lot more to me now, but I still enjoy those memories....and the candy. 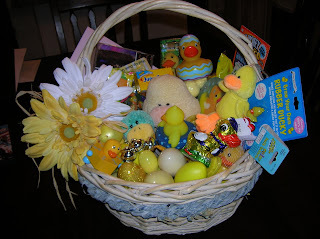 The answer to: Do you ever outgrow an Easter basket? Is: No! This year my Mom's 'theme' was yellow ducks...I've been collecting random ducks forever, and I even had to keep a bunch of 'stuff' out b/c it just flat wouldn't fit (in case you have never met my Mom-she loves ducks, despite her 'tragic' tale of her dad giving her a duck one Easter that later chased her around her backyard). 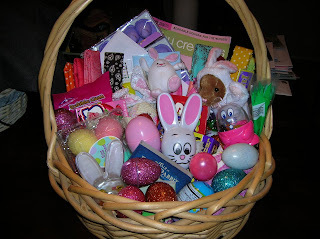 My basket was filled with lots of pink things and bunnies, which I love. HOPEFULLY the candy will last me for awhile. This morning was a cold morning, it actually snowed this weekend, it didn't stick, but there were some significant flurries, which was interesting to see on Easter weekend! 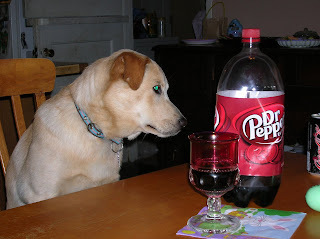 We went over to my Aunt's house for Easter, and among other things-Dr. Pepper was provided, THIS is a staple at EVERY holiday meal....or any meal in general. So I snapped a picture of Sandy joining us for a game of Apples to Apples, Dr. Pepper and Dessert. It has been a really nice weekend. Cheesecake with Holly on Good Friday, lunch with Nicole on Saturday where she gave me the opportunity to just 'talk out' things that have been bothering me (thanks for always being such a great listener Nicole! ), and then today was church and lunch with the family. I hope that your Easter was fabulous, and regardless of what the bunny did, or didn't bring you, I hope you know today (and every day) is about how perfectly God loves you regardless of where you are, or aren't at in your life, or where you were, or weren't this Easter morning, and He expressed that love through His Son, Jesus. John 3:16 sums up today so perfectly! Bluebonnets in the spring! 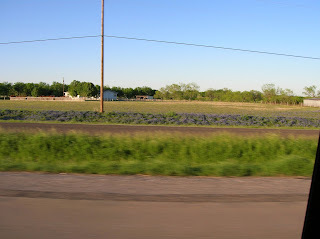 Acres and acres, miles and miles of wildflowers, and most importantly, those gorgeous bluebonnets! This is just a tiny sampling of rows growing along the highway (it was a little hard to focus at 70 miles per hour, but the row of color below the telephone poles is what I'm talking about), they waved to me through most of my trip down 45 this weekend, and I LOVED every minute! A trip down 35 will steal your breath! Book your trip in April if you want to see the hill country in full color. 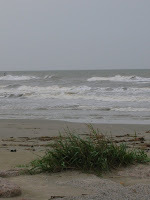 This weekend, after a baby shower in Houston...Mom, Lois, Holly and I headed to Galveston Island. 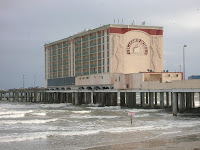 My family has been visiting Galveston before ANY of us were born, my Grandmother and GREAT Grandmother frequented that beach as well and passed down the love of the legacy....and the fun part is that there are several stores and restaurants that were there when they visited. 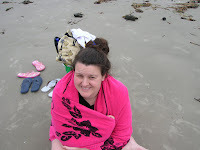 Anyone that has been to the Gulf knows that the water is a brown color due to all the sand it passed through making it's way into the gulf, but the undertow is generally pretty light (NOTHING like the Pacific) and the water is much warmer than the other oceans surrounding the US (though this weekend it was freezing, note the towel I had to keep me warm!). 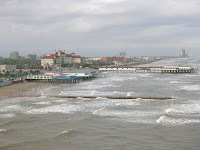 Not only do I enjoy swimming at the Gulf (minus the abundance of sea life, which was out again this weekend thanks to a storm stirring up the jellyfish and bringing them all ashore), I just love the history of Galveston. In 1900 a hurricane almost wiped out the island (and so many people along with that), and in a push to keep the island so many loved the island was raised 17 feet and is surrounded by a seawall at the lowest points. 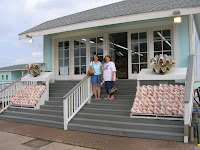 There are a lot of great old houses to visit, pirate history, stores to shop at in a downtown area that was not destroyed by the hurricane, and a great Bay with some pretty fun boats to watch coming and going. They have recently added a cruise port which has really helped the restoration push. I think anyone who says they DON'T like Galveston hasn't been with someone who can show them all there is to LOVE about it! The Good: Friday night Amber and I went out and scrap booked for about six hours. I'm working on my 2006 album, and I got a few pages done, which is good! The Bad: I have a looooot more to do.